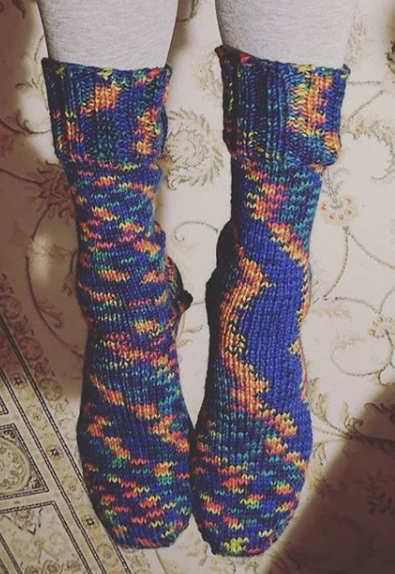 This is a new style of sock pattern for me, with an afterthought heel. Here's a link to my tutorial for Judy's Magic cast on. 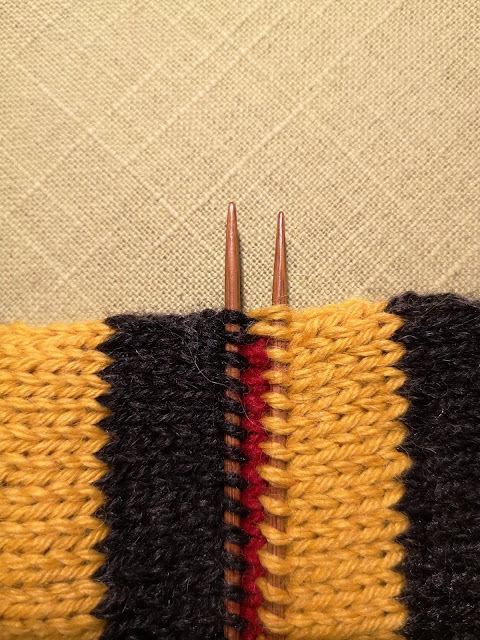 If you have any issues, questions or feedback, please email me directly at karnknits@gmail.com. 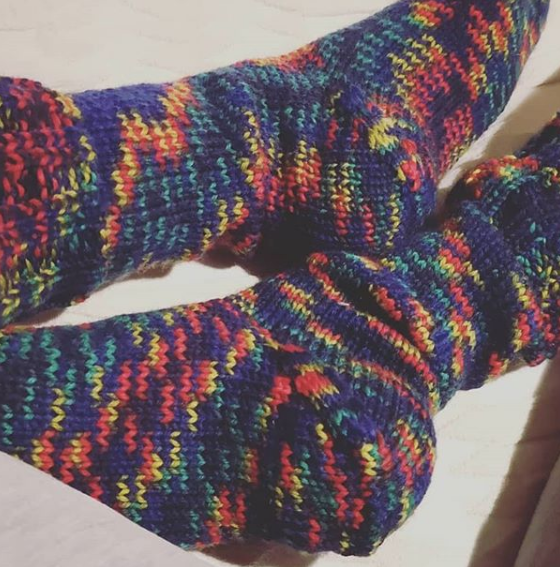 and one using regular single colour or variegated yarn, PSYCHOKNITTER socks. (click on the links for PDF downloads). 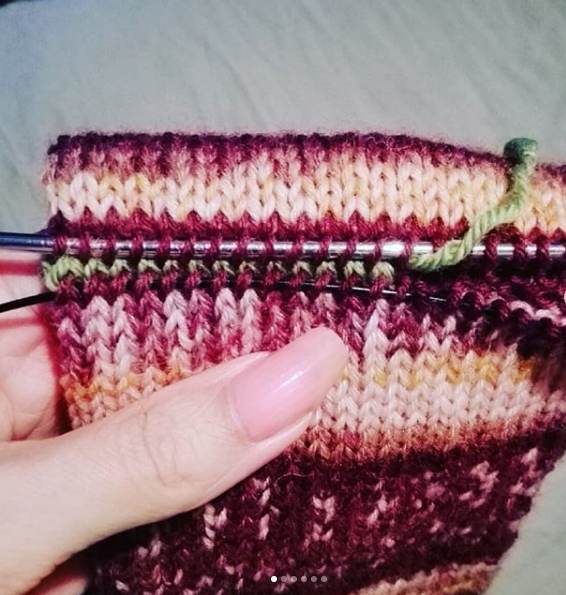 I will test the stranded version myself at some point, but I thought I'd make it public here before putting it up on Ravelry. I also plan to create a gusset heel version on the Sugar Sokker socks, but I don't know when that'll happen. I've knit the non-stranded type several times now, but I need an objective eye to tell me if it's workable as a written pattern. Picking up the stitches either side of the heel. I pick up extra stitches either siide of the scrap yarn. This means no hole to sew afterwards. 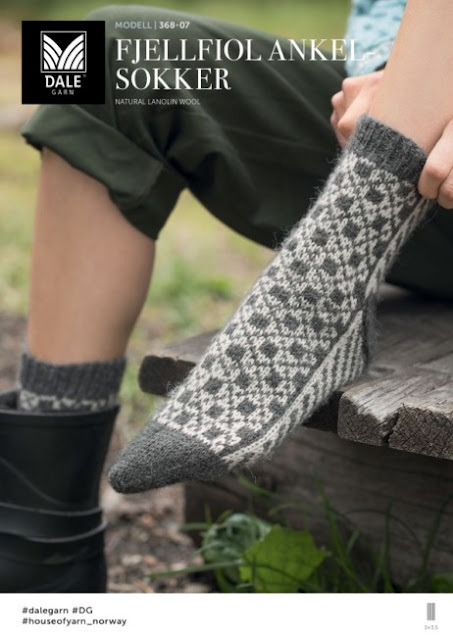 The Sugar Sokker socks are inspired by this Norwegian sock pattern from Dale.